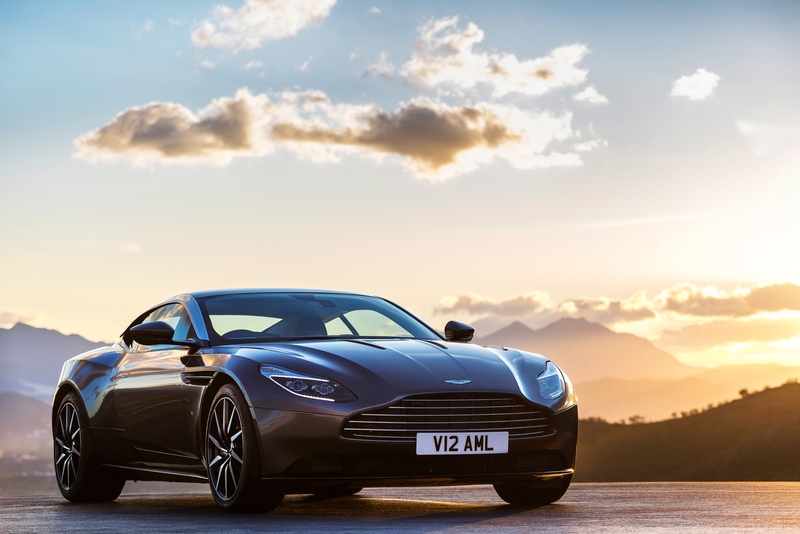 Aston Martin’s “DB” range carries with it an illustrious history and pedigree: having firmly cemented itself in the world’s hearts as a true icon. 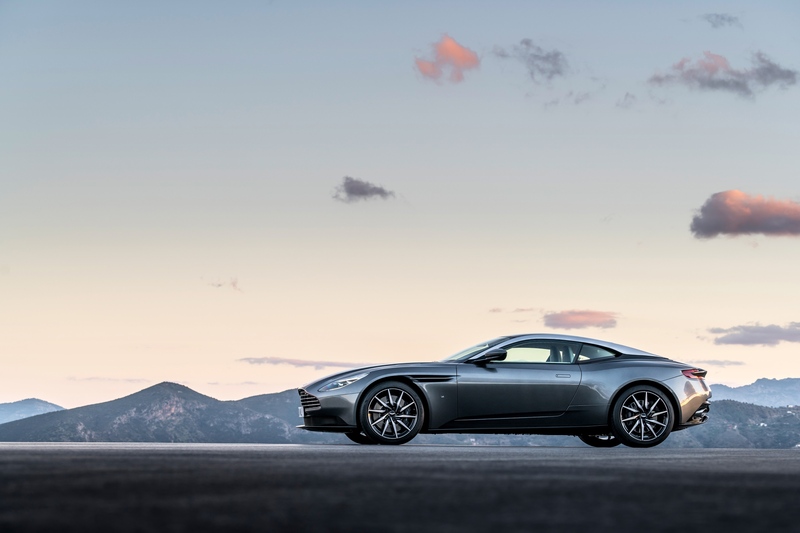 The DB11 is the latest release from the British car builder, bringing with it a totally new body shape and styling cues: making for one highly desirable and exquisite piece; combining the world’s best engineering and designs into one flawless package. The use of extruded bonded aluminium body structure (including Hot Form Quenched aluminium) and cast-magnesium door structures makes for an incredibly robust vehicle that is then crafted to create an elegantly shaped silhouette. Innovative aerodynamics and a newly engineered engine means that Aston Martin is pioneering their field, showing other marques what the pinnacle of bespoke vehicle design and performance looks like. 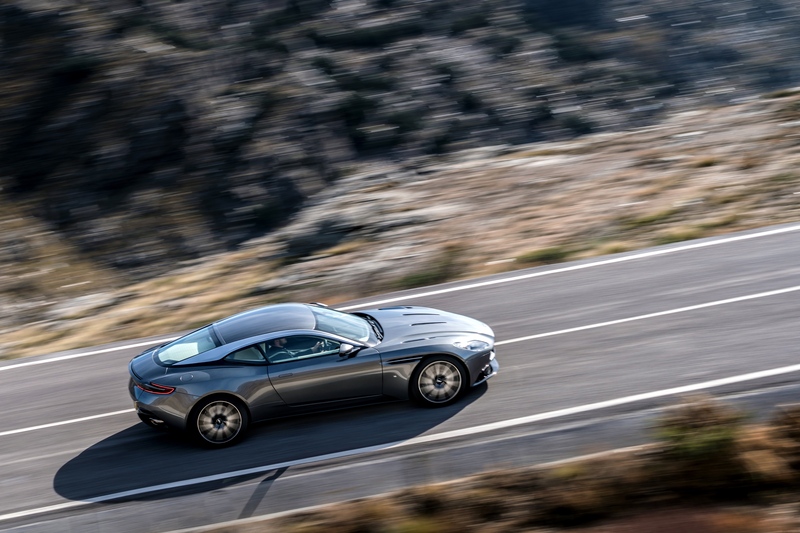 Combining form and function so that they interact seamlessly is an age-old challenge, and one that Aston Martin has always relished; with the DB11 being their best achievement in that regard. 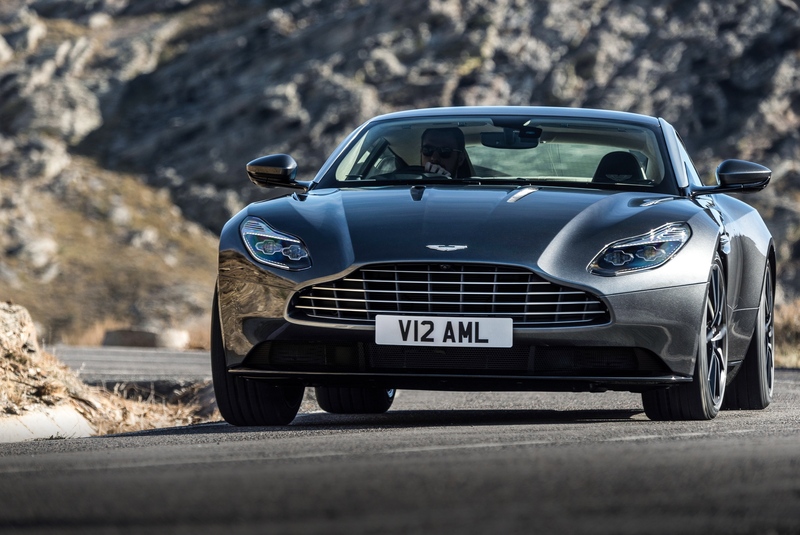 The vehicle features a front-hinged “clamshell” bonnet, a refreshed grille with more accentuated lines, and distinctive LED headlights; giving the DB11 a very unique aesthetic. 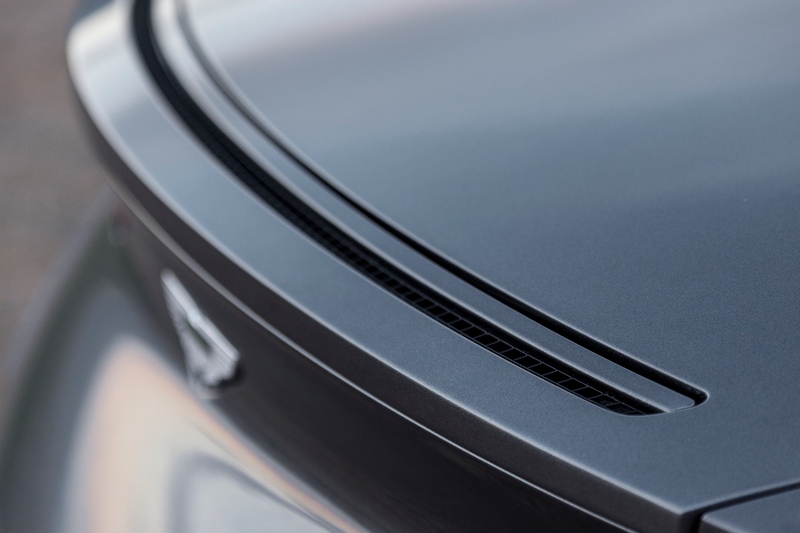 The aerodynamics have had a complete overhaul, now managing airflow in synergy with the existing body shape: stability is assisted with controlled airflow both over and through the car’s panels, allowing for an uncluttered exterior. 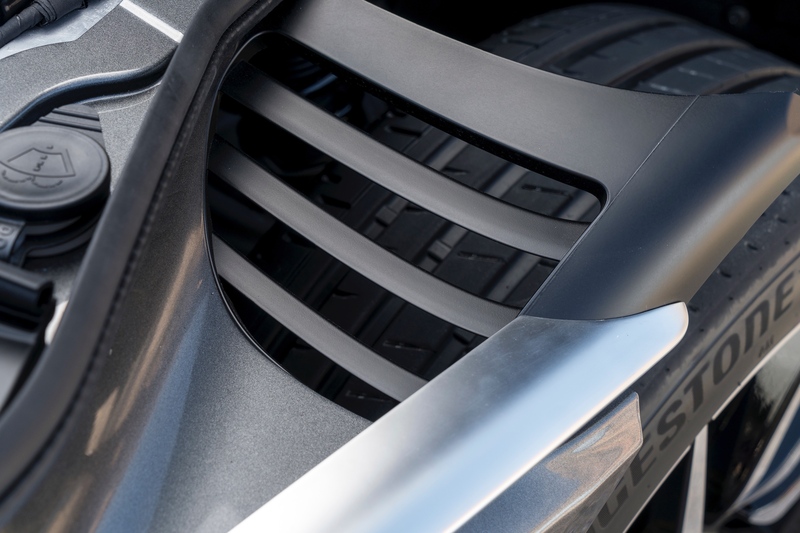 A grill-like Curlicue releases high-pressure air via a concealed vent hidden in the newly-designed side strake, reducing front-end lift considerably; whilst the rear-end lift is decreased through the implementation of Aston Martin’s Aero Blade™. 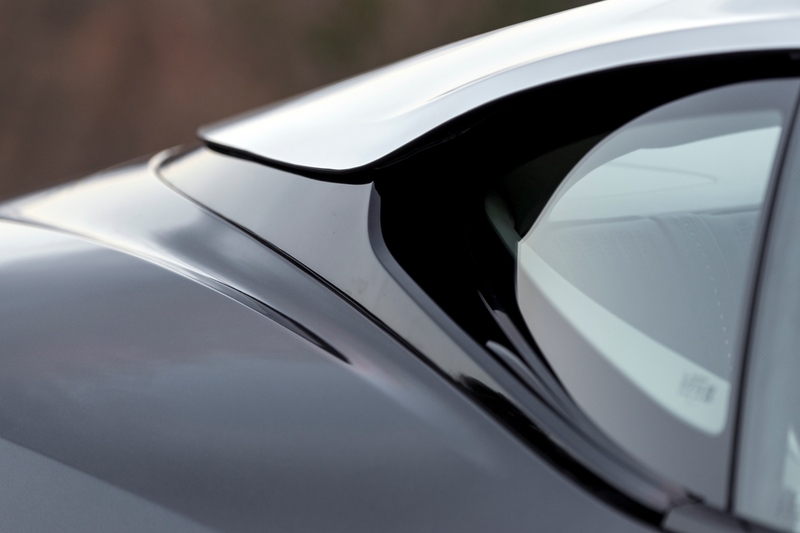 The AeroBlade™ is a virtual spoiler which uses air ducted through the car’s bodywork, using discreet intakes at the base of each C-pillar and vents it from the aperture in the rear deck-lid as a jet of air. 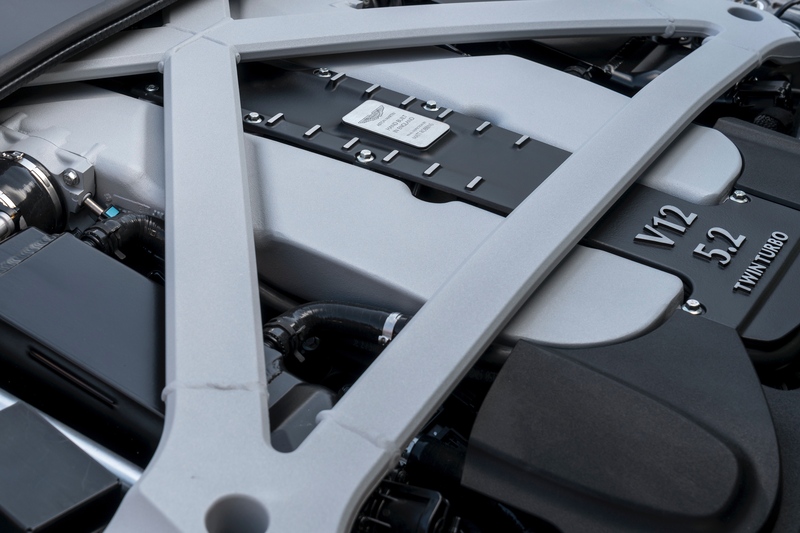 An Aston Martin would not be a true example of engineering legend without the addition of one of their famously designed engines. 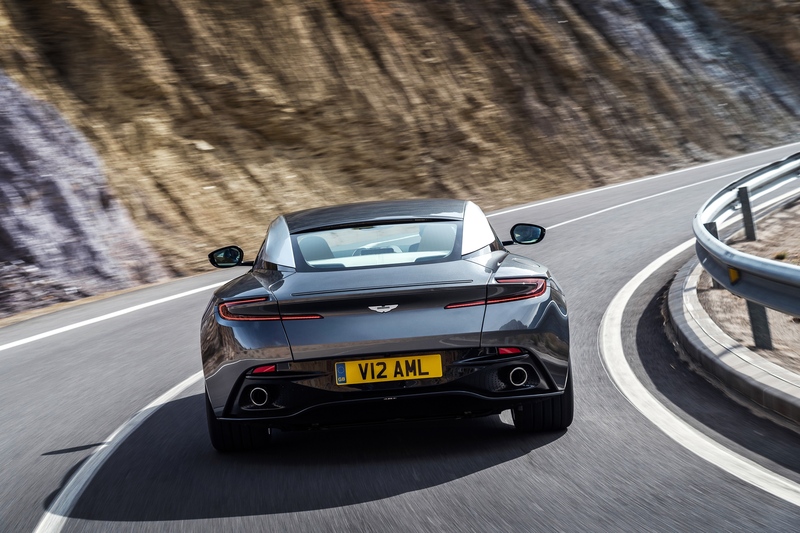 The DB11 runs a 5.2-litre V12 twin-turbo powerhouse with an output of 600BHP* and 700 Nm of torque, accelerating 0-100km/h in just 3.9sec* with a top speed of 320km/h. These statistics make the DB11 the fastest & most powerful production model ever released by the iconic British manufacturer. The chassis, steering, suspension and electronics have all received the same innovative attention, using new technologies and specially developed setups to really maximize all that the new body shape has to offer. Drivers can adjust the vehicles performance through a range of selectable dynamic modes – GT, Sport & Sport Plus, which are gradually more responsive and intense as you progress through them. Greater agility is achieved through the 8-speed automatic ZF gearbox, limited-slip differential, new electronic power steering and Torque Vectoring which increases firmness of the three-stage adaptive damping system while braking; resulting in the perfect balance between luxurious comfort and ultimate sports-car handling. 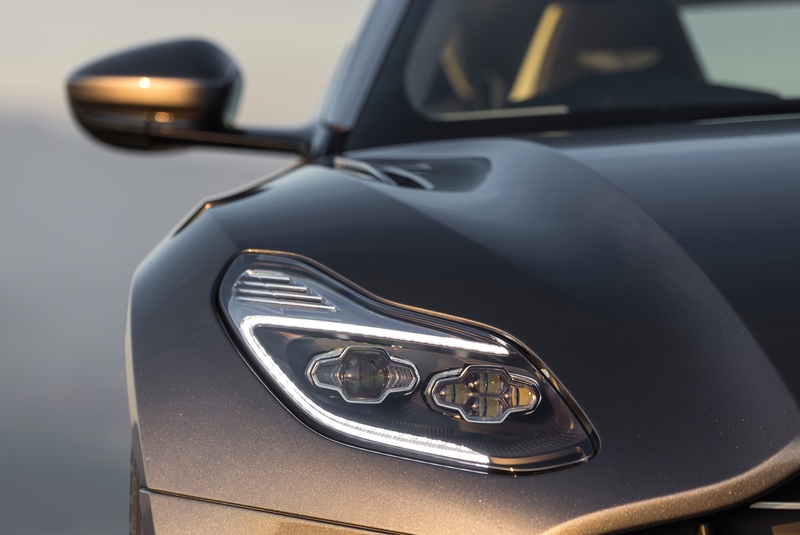 As the official technical partner, Daimler AG is responsible bringing the DB11 into the 21st century using the very latest and advanced technologies available, to interconnect with the fine quality materials and hand-craftsmanship afforded to each vehicle during its manufacturing process. 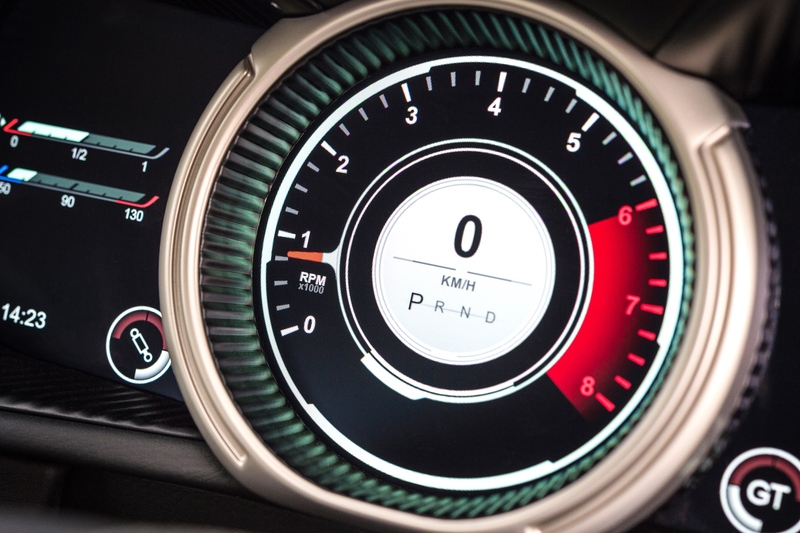 A 12-inch TFT LCD display is an aesthetic centerpiece, displaying the all-new instrument cluster with ultimate clarity and complemented by an 8-inch TFT screen solely for the infotainment system. 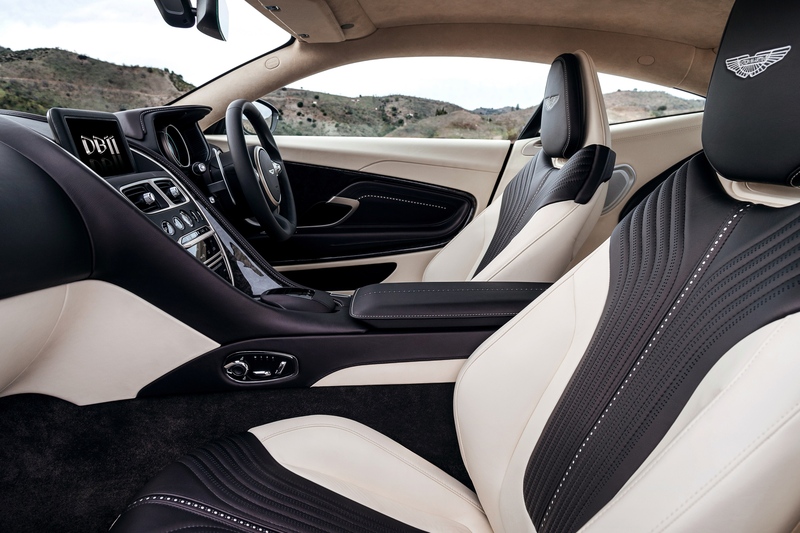 All this technology becomes extremely ergonomic with the introduction of an intuitive rotary control and optional touch-pad; featuring multi-touch, character recognition and gesture support, as well as newly configured satellite navigation and audio system. A 360-degree birds-eye-view camera and newly implemented auto-park assist make low-speed maneuvering safer whilst also having the option to be controlled through the infotainment system. 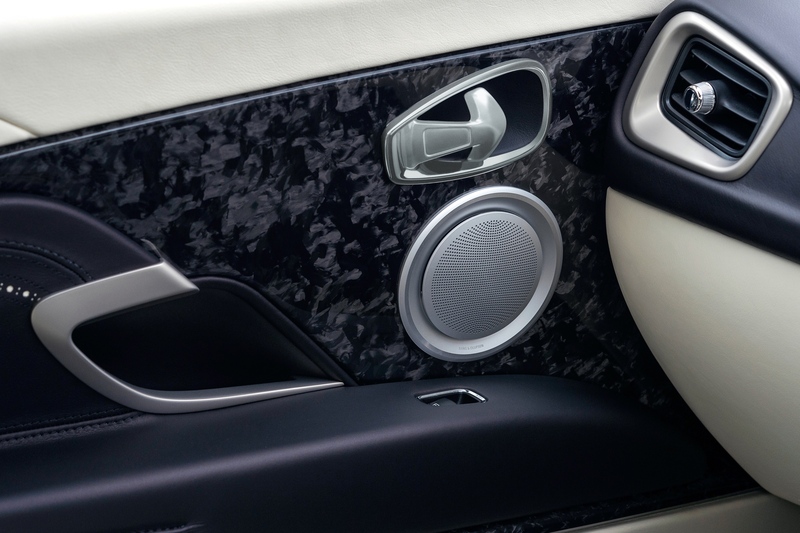 Occupancy space is improved thanks to increased leg room and headspace in the rear, wider door apertures all around and fully integrated rear ISOFIX mounting points allowing for a pair of child seats. The DB11 is a true Grand Tourer thanks to these features in addition to a generous luggage compartment: big enough to easily accommodate two large suitcases and carry-on baggage. 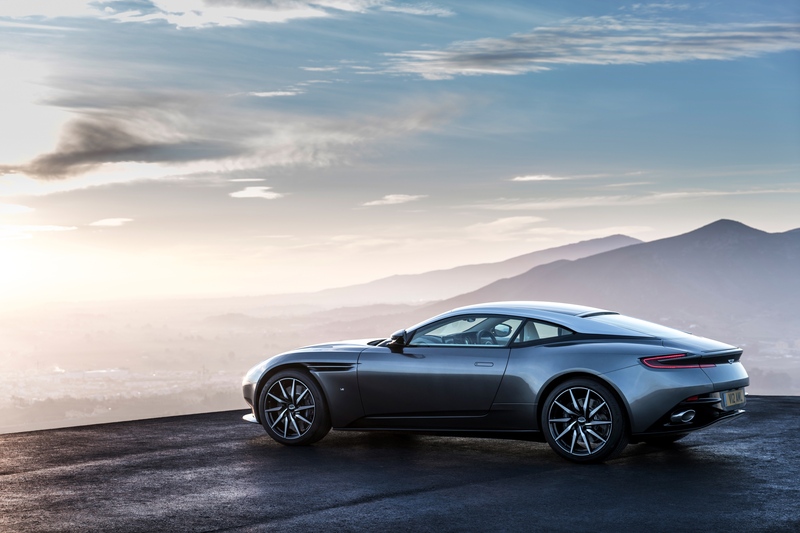 Recommended retail price for the DB11 begins at £154,000 in the UK, €204,900 in Germany and $211,995 in the USA (with figures for other markets to be released closer to delivery).